Are they stork raving mad, or just smart cookies? Either way, Europe’s White Storks seem to have found a year-round food source, and it’s changing their migration habits, according to new research. Move over gulls, you’ve now got competition at the landfills. Dependence on landfills means the birds spend less energy foraging, especially outside of breeding season. And it enables them to begin breeding earlier, at the best nearby nesting sites. Even those storks living at a distance from the landfills were willing to travel roundtrip up to 60 miles—or nearly 100 kilometers—to, as the authors so aptly put it, “get their fix” of junk food. 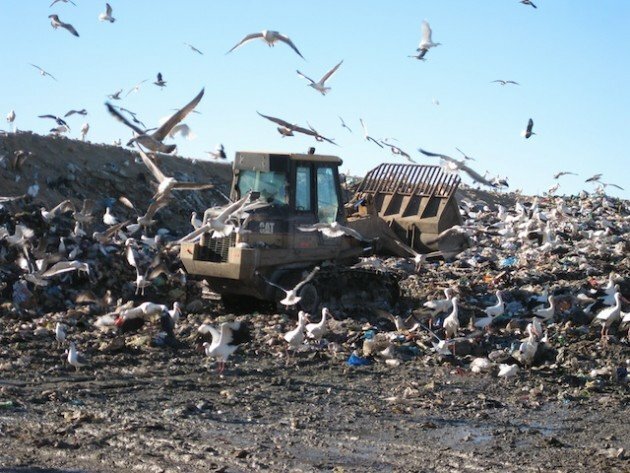 The researchers note, though, that EU landfill regulations may change the way that food waste is handled, thereby robbing resident White Storks (and their gull partners-in-grime) of the smorgasbords to which they’ve become accustomed, and challenging their ability to feed themselves and their families over the winter. Images courtesy of the authors and the University of East Anglia.